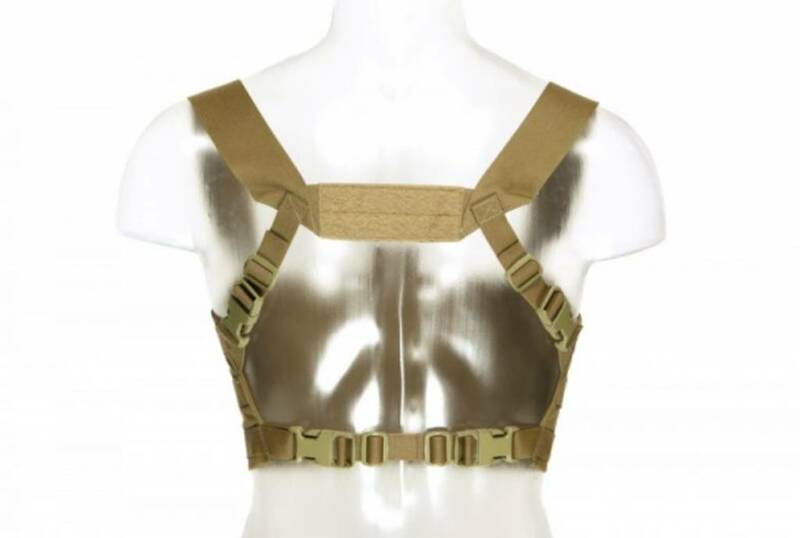 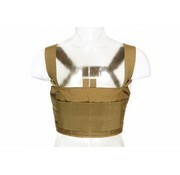 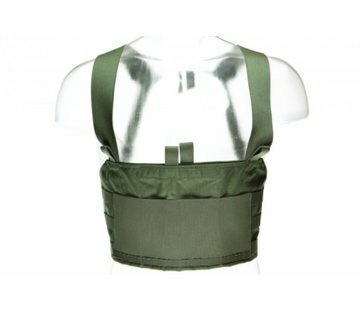 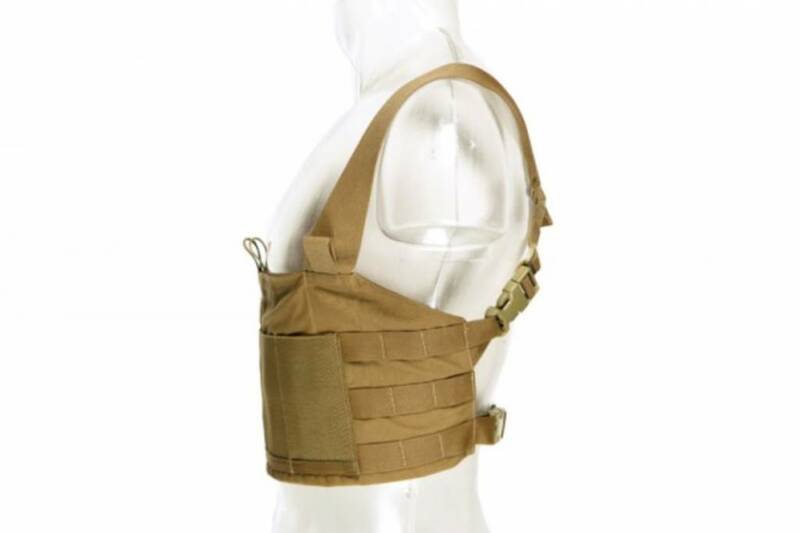 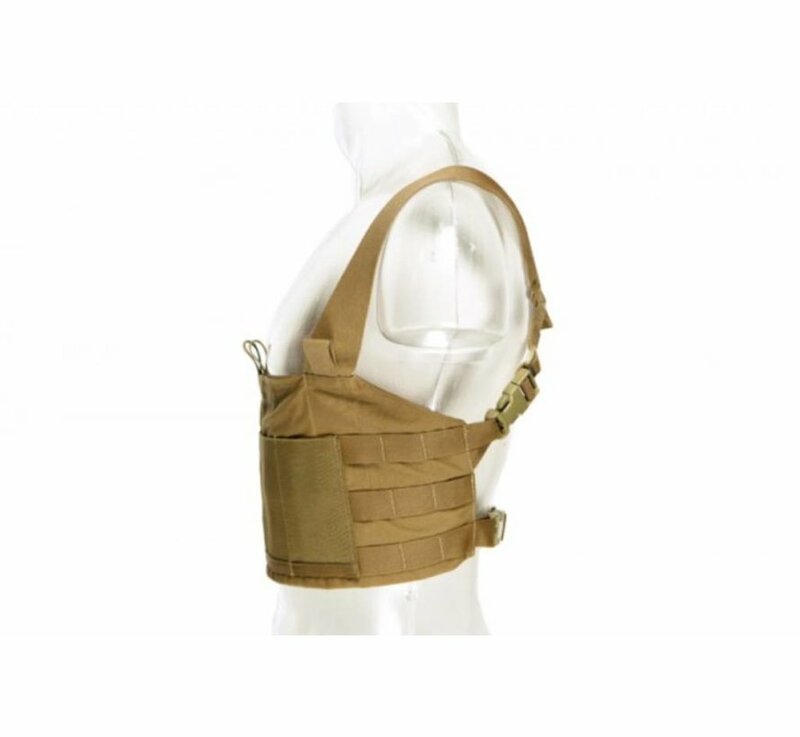 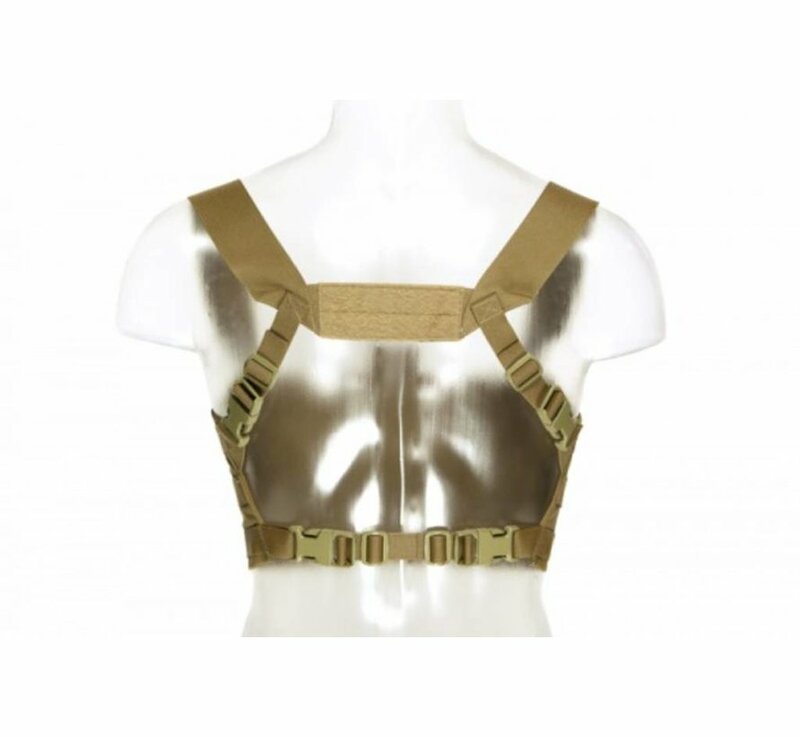 Blue Force Gear Ten-Speed M4 Chest Rig (Coyote). 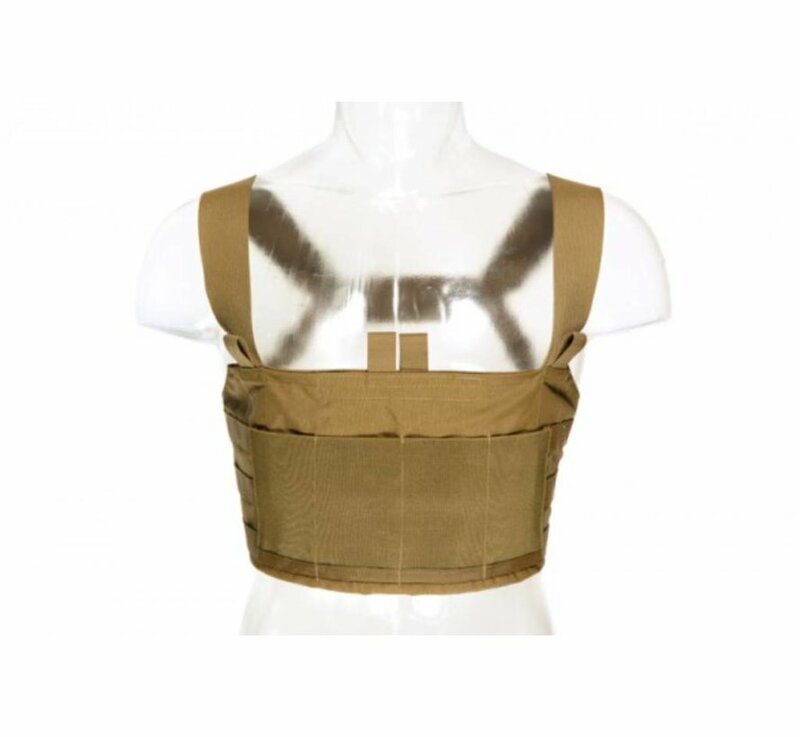 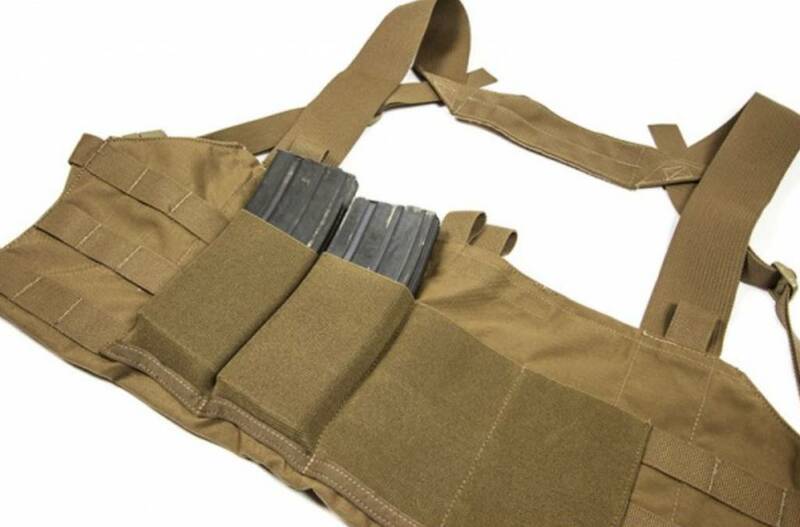 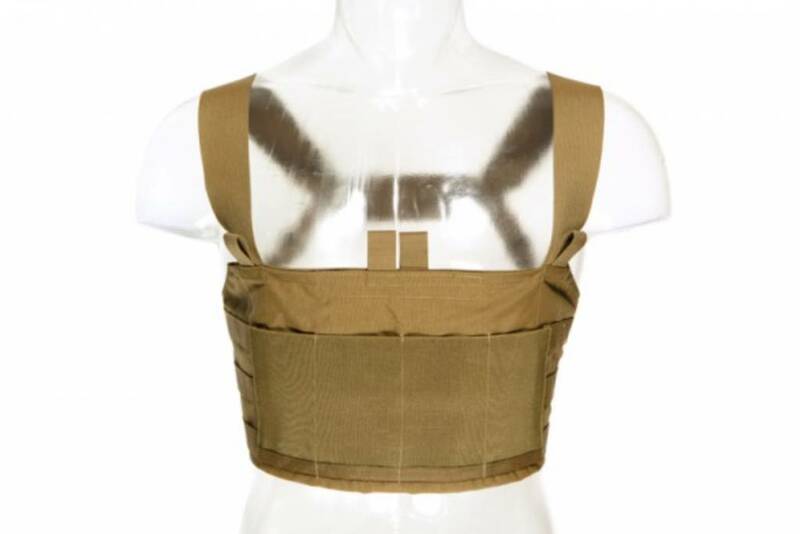 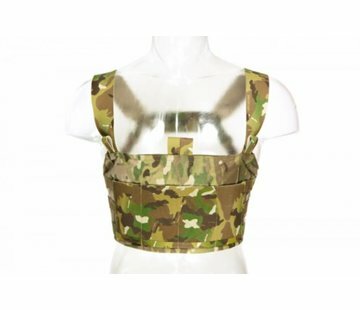 Designed as an ultralight fighting load - holding 4 M4 or similar sized magazines with 3 x 3 MOLLE fields on either side for mounting Trauma Kit NOW!, pistol mag pouches, utility pouches, or any other MOLLE compatible pouches. 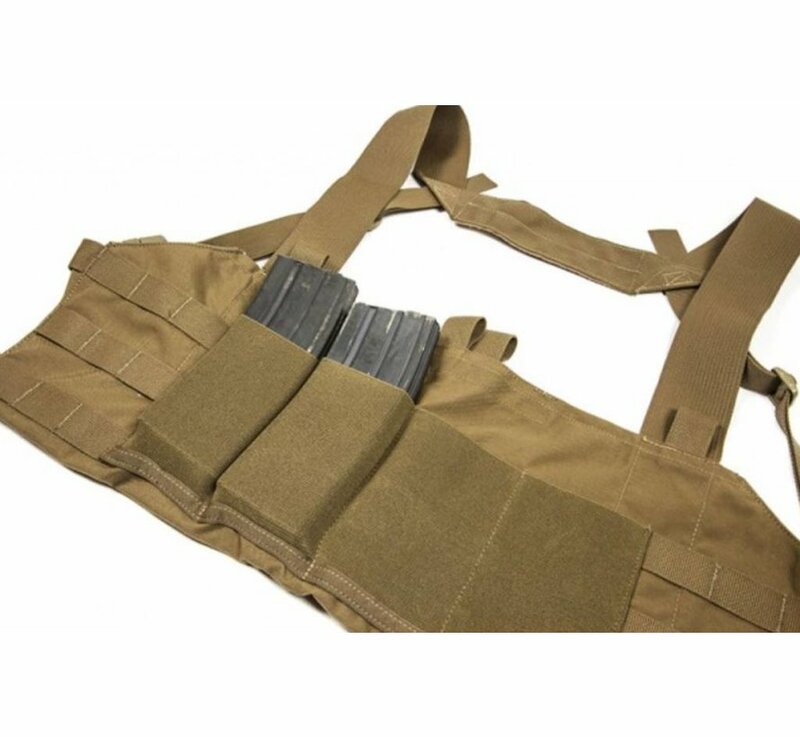 4 Ten-Speed M4 mag pouches can fit smoke grenades, flash bangs, GPS units, dressings, tourniquets, small radios, cans of dip, and similar sized rifle or SMG mags.